Standing 6 ft, 3 inches tall and 30 inches wide. 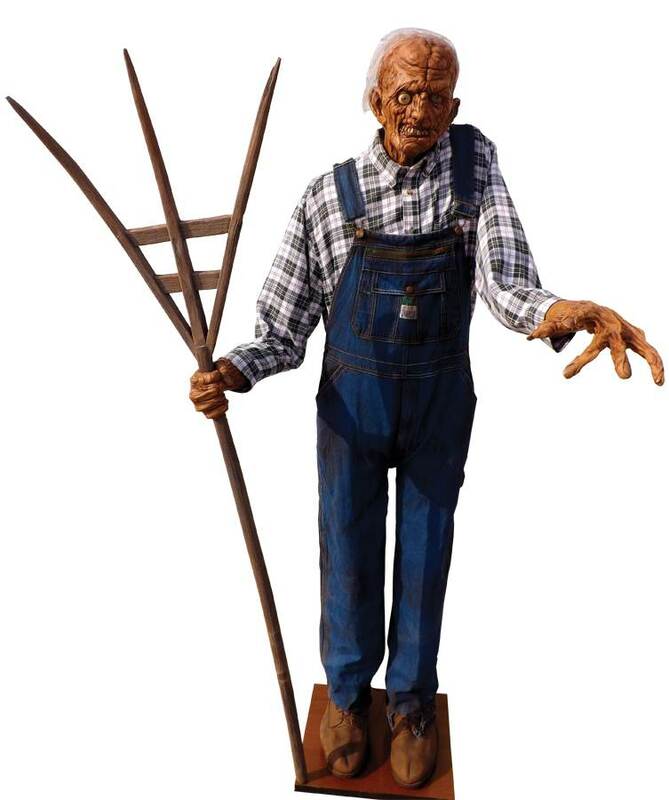 Plug in the 9 volt DC adapter and he shakes the antique replica hay fork and nods his head. He can be posed to reach for you as he shakes his hand. 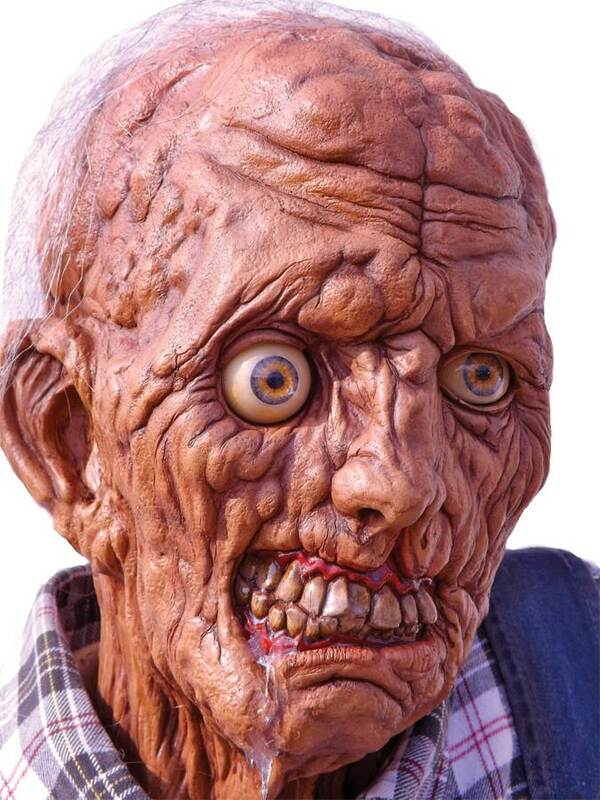 This realistically hand painted mutant farmer is ready to give your unsuspecting guests a real scare. Hand crafted in the USA. Shirt colors may vary.